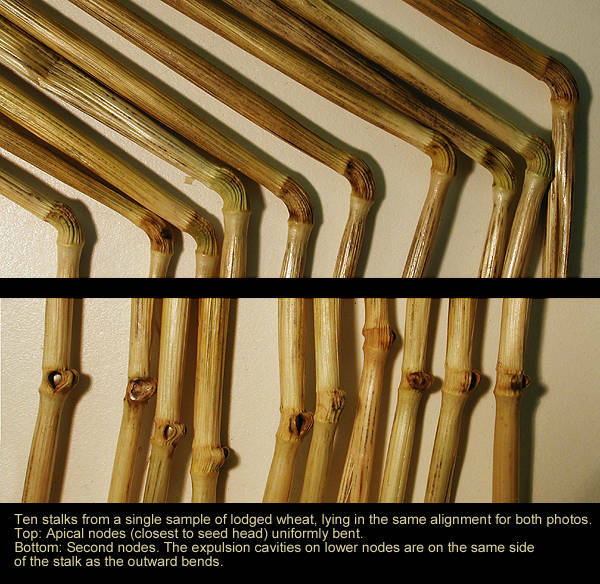 Node changes in lodged wheat were typical of the node changes found in crop circle formations. We found bent and elongated nodes as well as many expulsion cavities. Upon examining the sample stalks, we see that the bulges and expulsion cavities are on the same side of the stalk as the outward bends.